Buy Microcontrollers at low cost. All India Delivery. Check our stock now!!!! A microcontroller is a small low cost system with a processor, memory & peripherals that can be used as an embedded system. Microcontrollers are used today are embedded lots of products & machinery some common examples include mobiles, vehicles and almost all day to day required household equipment. Using micrcontrollers you can interface Input and output devices like relays, solenoids, latches, LCD display, switches, and sensors like light, temperature humidity, water level, various gas sensors etc. 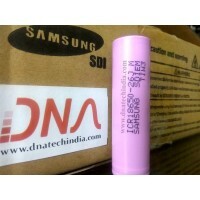 There are various types of Microcontrollers available at DNA Technology. We stock most of common types of Microcontroller. If you require any controller which is not listed in our online shop you can mail us your requirement. AT89c4051Atmerl's AT89C4051 is low-voltage, high-performance CMOS 8-bit microcontroller with 4KB of ..
ATMEGA328P-AU SMD Microcontroller This is Atmel’s high performance, low power 8-bit AVR ATMega328p-A..
ATMEGA328 with Arduino BootloaderArduino UNO uses ATMEGA328P-PU microcontroller and this controller ..
ATMEGA32A 8-Bit AVR MicrocontrollerATMEGA32A is a 40 pin, 8-bit AVR RISC-based microcontroller from ..
Atmega8535 MicrocontrollerAtmega8535 is a high-performance, low-power Atmel 8-bit AVR RISC-based mic..
ATTINY13A-PU MicrocontrollerATTINY13A-PU Microcontroller is Atmel's picoPower 8-bit AVR RISC-b..
ATMEL AVR ATtiny 45 Micro-controllerThe high-performance, low-power Atmel 8-bit AVR RISC-based micro..
dsPIC 30F3010High-Performance,16-Bit Digital Signal ControllersThis is a 28 pin high performance 1- ..
dsPIC30F3013High-Performance,16-bit Digital Signal ControllersdsPIC30F Motor Control 16-bit Digital ..
dsPIC30f3014High-Performance,16-bit Digital Signal ControllersdsPIC30F Motor Control 16-bit Digital ..
dsPIC30f4011dspic30f4011 is a great inexpensive compact microcontroller from Microchip and is ideal ..
dsPIC30F4013dsPIC30F4013 FeaturesHigh-Performance Modified RISC CPU:• Modified Harvard architecture•..
LPC2138 ProcessorThe NXP (founded by Philips) LPC2138 is an ARM7TDMI-S based high-performance 32-bit..
LPC2148 32 bit MicrocontrollerNXP LPC2148 is an ARM7TDMI-S based high-performance 32-bit RISC Microc..
PIC10f200 MicrocontrollerThe PIC10F200 is a low-cost, high-performance, 8-bit, fully static, Flash-b..
PIC10F220 Microcontroller from MicrochipThe PIC10F220 is a low-cost, high-performance, 8-bit, fully-..
PIC12F6758-Pin FLASH-Based 8-Bit CMOS MicrocontrollersThis powerful (200 nanosecond instruction exe..
PIC16F876 MicrocontrollerPIC16f876 Micro-controller from Microchip is a powerful (200 nanosecond ins..